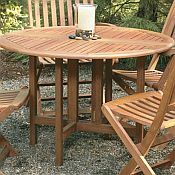 The Celebration Drop-Leaf Round Table is perfect for small spaces. 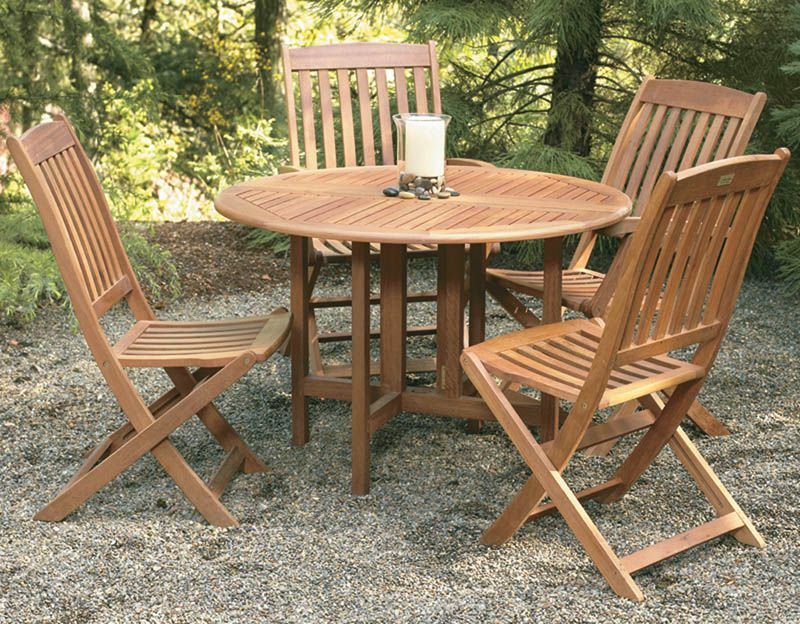 Bring the table out when the sun is shining and easily fold it up during the winter months. Drop one side for to use half of the table against a wall (chairs not included). Add the Spontaneity Folding Armchair to complete your outdoor sitting area.